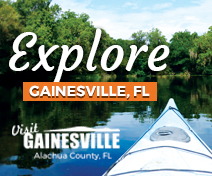 You won't run out of things to do in Northeast Florida. 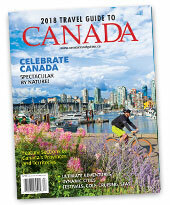 You've got award-winning beaches, globally famous history, pristine parks, and a burgeoning food and beverage scene. The area is nicknamed the First Coast and the Historic Coast and, while no one can say for sure where Spanish explorer Ponce de León landed, he is credited with discovering Florida in 1513. In 1565, Pedro Menéndez de Avilés came to shore at what was to become the first permanently occupied territory in the US-known today as St. Augustine. And the rest, as they say, is history ... history well worth exploring. Start with a sunrise SUP outing along 13 miles of scenic Atlantic shoreline, or settle into a kayak and enjoy a guided tour through the marsh and surrounding waterways. Plan an afternoon at Fort Clinch, followed by a shopping stroll in downtown Fernandina Beach to uncover the history and charm, which keep the destination a top island favorite among Condé Nast Traveler's readers. Spend your evening savoring culinary delights at one of the nationally acclaimed chefs' tables. Step back in time at the historic Castillo de San Marcos National Monument. Take a legendary sip of water at the Fountain of Youth. Keep little hands busy at the interactive Pirate and Treasure Museum. See every species of crocodilian at the St. Augustine Alligator Farm. Find your perfect spot on the shore along 42 miles of beach. Challenge your golf game at the Stadium Course at TPC Sawgrass. Enjoy the spicy datil pepper in the Minorcan Clam Chowder at Barnacle Bill's. Start with a tour of Palatka's 30 plus murals that depict the history of Putnam County. Visit the 1850s Antebellum Bronson-Mulholland House and adjacent Putnam Historic Museum. Next, take a drive or hike through the scenic Ravine Gardens State Park. Be sure to visit the St. Johns River Educational Center located on the beautiful St. Johns Riverfront Park. Have dinner in one of Putnam County's restaurants where you can get local fare and catch the vibe of the town. To end your day, relax aboard the Palatka Water Taxi on the beautiful St. Johns River. In St. Augustine, tours of places like Villa Zorayda give a glimpse into the past. The building was originally constructed in 1883 as a winter residence and was made of poured concrete and crushed coquina shell. Villa Zorayda is built to one-tenth the scale of a section of the Alhambra Palace in Granada, Spain. Tours of the building detail its historic significance in St. Augustine's history and display many unique items-there's even a rug called the Sacred Cat that is more than 2,400 years old. For an in-depth look at St. Augustine's visual arts, take part in the First Friday Art Walk, which includes more than 20 art galleries opening their doors for the evening. Enjoy refreshments, receptions and live music for free. There's complimentary parking and a free shuttle at San Sebastian Winery on King Street where you can board the Old Town Trolley or Ripley's Red Train Tours. If you want to take in a show, the St. Augustine Amphitheatre seats 4,100 and is considered St. Johns County's leading multi-purpose arts facility. Recent performing acts have included Jack Johnson, Paul Simon, Widespread Panic and ZZ Top. St. Augustine's Old City Farmers' Market is also held on the grounds of the amphitheatre. Another place to enjoy music and shows is the Ponte Vedra Concert Hall in Ponte Vedra Beach. It features performing artists from around the globe as well as special events and community gatherings. The concert hall also has convention and meeting spaces. Southwest of St. Augustine in Putnam County, Palatka features more than 30 outdoor murals. In February, head north on US Route 17 to Green Cove Springs for the annual Northeast Florida Scottish Highland Games & Festival. For a year-round glimpse at the region's Scottish connection, just visit its historic and military museums. In downtown Jacksonville, the monthly First Wednesday Art Walk covers 15-plus blocks of arts and culture. 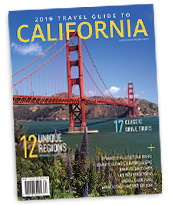 Check out more than 40 galleries, museums, cultural venues and restaurants. The tour connects visitors to the dozens of artists and street performers in Hemming Park. From September to May, the Jacksonville Symphony makes its home in the Robert E. Jacoby Symphony Hall, praised for its great acoustics, at the Times-Union Center for the Performing Arts, and also performs at other venues in Northeast Florida and around the state. The symphony is ranked among the country's top regional orchestras. Amelia Island welcomes its annual Chamber Music Festival in February, March and April 2018, with a concert that will feature Itzhak Perlman. With more than 450 years of history, St. Augustine is the oldest continually occupied European settlement in the US. The city takes its history seriously and has 36 buildings of colonial origin still standing in the historic district. To get the real skinny on the city's history without wearing out your feet, step aboard the Ripley's Red Train Tours or Old Town Trolleys. Both sell all-day tickets so you can hop on and hop off as you please. Over at Ponce de Leon's Fountain of Youth Archaeological Park, you can drink water from its "fountain"—but you may come away with fun memories more than ageless qualities. It's located on the actual site of the first settlement in St. Augustine and was founded 42 years before Jamestown and 55 years before Plymouth Rock. Check out the cosmos in the planetarium, visit the Timucua Indian Village of Seloy or marvel at the sound of the Spanish cannon. For all the dog lovers out there, the Fountain of Youth is a pet-friendly attraction. St. Augustine has plenty of tours to guide you around town, from art walks and a "pup crawl" (a walking tour on which you can bring your dog) to nighttime ghost tours and culinary-focused themes. There's even the new St. Augustine Scavenger Hunters, where you embark on a quest for treasures while discovering the city's many great sights. A visit to St. Augustine isn't complete without stopping by the St. Augustine Lighthouse & Maritime Museum. Its newly launched exhibit, Wrecked, tells the story of a Revolutionary War-era shipwreck off of the area's coast. Recently, the museum broke ground on a 2,500-square-foot Maritime Archaeology & Education Center. For something truly unique, travel southwest of St. Augustine to Putnam County to ride the Fort Gates Ferry, the oldest operating ferry in Florida. 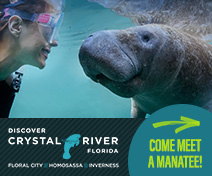 In Jacksonville, the Jacksonville Zoo and Gardens will take you on a world tour of animals without ever leaving Florida. From its Wild Florida area to Monsoon Asia and Plains of East Africa, and more, you'll view dozens of animals that are hard to spot elsewhere. Southwest of St. Augustine, Putnam County is known as the "Bass Capital of Florida" and is rated No. 3 of the top 10 bass fisheries in the state. 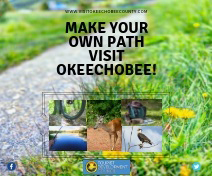 The county is also the trail hub of Northeast Florida and offers ample hiking, biking and paddling trails. Be sure to check out the 59-acre Ravine Gardens State Park created in a natural steephead ravine. When you're ready to chill with some beach time, you can't go wrong with a visit to St. Augustine Beach. 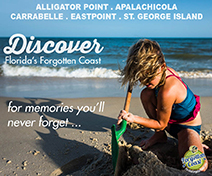 In 2016 alone, this popular destination was named one of America's Favorite Beach Towns by Travel & Leisure, one of the Best 30 Beaches in the World for Families by the Travel Channel, and a Top 10 Beach in the US by TripAdvisor. 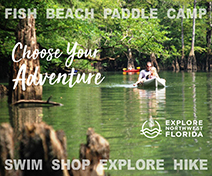 Another way to indulge in the area's many water attractions is through a guided kayak tour that allows you to paddle the back-waters of the Guana Tolomato Matanzas National Estuarine Research Reserve in the Ponte Vedra area. 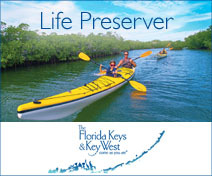 It's been voted one of the best places to kayak in Northeast Florida. The city of Jacksonville actually has the largest urban park system in the US. 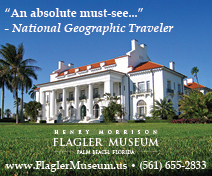 So, plenty of natural adventures await you in Northeast Florida, be it in a city or rural area. Jacksonville boasts 22 miles of spectacular beaches. 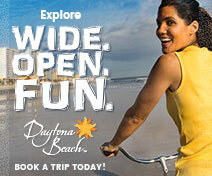 If you're visiting Jacksonville area, consider using its new free Beachside Buggies to get around Atlantic, Neptune and Jacksonville beaches and easily explore all of the beachy neighborhoods and attractions. 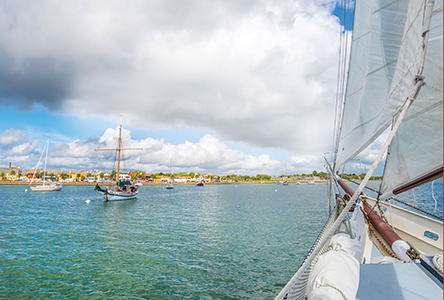 For more picturesque adventures on the water, Amelia Island offers Amelia River Cruises and Charters or a privately chartered sunset cruise with Windward Sailing. 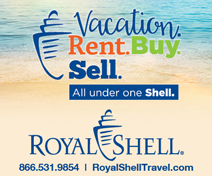 If you're looking to reel in fish, Amelia Boat Club & Rentals provides rentals for fishing, cruising or sightseeing. 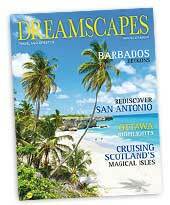 And if you seek something a little more adventurous, the island's Flying Fish Adventures organizes jet-ski tours. In the mood for family fun? Foodie finds? History? Northeast Florida has something for everyone. For instance, you can dine at Florida's oldest diner, Angel's Diner, in Putnam County. In St. Augustine, foodies will rejoice at The Floridian Restaurant where they can enjoy farm-to-table meals with a Southern vibe. The restaurant's carefully crafted dishes are sure to please meat and non-meat eaters alike. If you're all about the food—and let's face it, who isn't?—then sign up for the tour at St. Augustine's Whetstone Chocolates. Of course, you'll get more free mouthwatering samples. At Kernel Popper's Gourmet Popcorn on St. George Street, try samples of caramel sea salt, Dr. Pepper or dill pickle popcorn, among its cornucopia of flavors, before settling on your fave. Golfers and nostalgia lovers will want to dine at The Murray Brothers Caddy Shack Restaurant. It's a favorite in the World Golf Village with plenty of memorabilia from the classic movie, starring Bill Murray. Duffers might also want to check out an original Donald Ross-designed golf course in Palatka, due west of Marineland. In Ponte Vedra Beach, Barbara Jean's Restaurant and Bar has a great view of the Intracoastal Waterway and outdoor seating. Go for seafood specials like fried shrimp or catfish, or try Southern comfort food such as meatloaf or chicken fried steak. Jacksonville's nightlife is filled with bars, pubs and live music venues. Bar hop, dance the night away or buy that happy-hour cocktail—it's all ready for the taking in vibrant neighborhoods like Riverside, downtown, Avondale and San Marco. At Jacksonville Landing in the downtown area, attend a show or a festival, view fireworks or simply people-watch. The Landing also hosts special events such as free live music on Friday and Saturday nights. Jacksonville is a leader in Florida's booming craft beer scene. One way to experience all it has to offer is on the Jax Ale Trail, a self-guided tour of the city's award-winning craft breweries. Grab a Jax Ale Trail Craft Beer Passport, and get a stamp at each of the local stops, which include Bold City, Green Room, Pinglehead and Zeta Brewing. Jacksonville also has a full-scale organic distillery called Manifest Distilling. Take in a country view for more than 60 miles along US-17 between Orange Park and Crescent City. 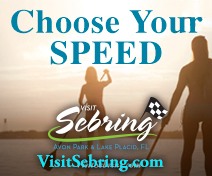 Along the way, view the picturesque St. Johns River, enjoy rolling hills (hard to come by in Florida), and stop at places like the Log Cabin Winery in Putnam County. On the Ormond Scenic Loop & Trail in the Flagler Beach area, take the double loop along scenic roads where you'll pass by the Atlantic Ocean and Old Dixie Highway. Other highlights include driving past the winter home of John D. Rockefeller, the historic Ormond Beach fire station and sunset views near Granada Boulevard Bridge. Head off on SR-13 just south of Jacksonville, and leisurely make your way to the small town of Spuds. This route gives you a near constant view of the St. Johns River, and you'll feel like you've stepped back in time as you drive past older homes and trees covered with Spanish moss. Two highlights along the route: the homes of writer Harriet Beecher Stowe and composer Frederick Delius. The newly remodeled St. Augustine Outlets right off I-95 carries more than 75 brand-name retailers, offering discounts up to 65 percent. Nearby, St. Augustine Premium Outlets advertises exceptional discounts ranging from 25 to 65 percent at more than 85 stores, including Banana Republic, Brooks Brothers, Calvin Klein, Coach, J.Crew, Nike, Ralph Lauren and Reebok. Ready for some unique finds? Then head on down to the pedestrian-only St. George Street in St. Augustine's Historic District. Find a bohemian piece of jewelry at Earthbound Trading Co. Nearby, stop by the Spice & Tea Exchange, an 18th-century-like trading post with displays of teas and spices that will stimulate your taste buds. At Bath Junkie, you can personalize bath and body products with customized scents. Find a gift for the artsy folks in your life at any of St. Augustine's 20 galleries located in the historic district. The Old City Farmers' Market, held at the St. Augustine Amphitheatre on Saturdays, welcomes vendors from local farms, bakers, seafood merchants and artisans. Minutes away from downtown, Jacksonville Farmers' Market is the oldest still-operating outdoor farmers' market in Florida. Since 1938, vendors have offered fresh produce, herbs and local favorites, such as Mayport shrimp. Browse for crafts and handmade goods daily from dawn to dusk. For more market exploration, check out Jaxsons Night Market, a craft market held on the second Thursday of each month at Hemming Park. There's also Riverside Arts Market, hailed as Florida's largest open-air market. Held on Saturdays, find local arts and crafts, food galore, a free yoga class, children's activities and live entertainment. The view isn't too shabby, either-it's right beside the St. Johns River.